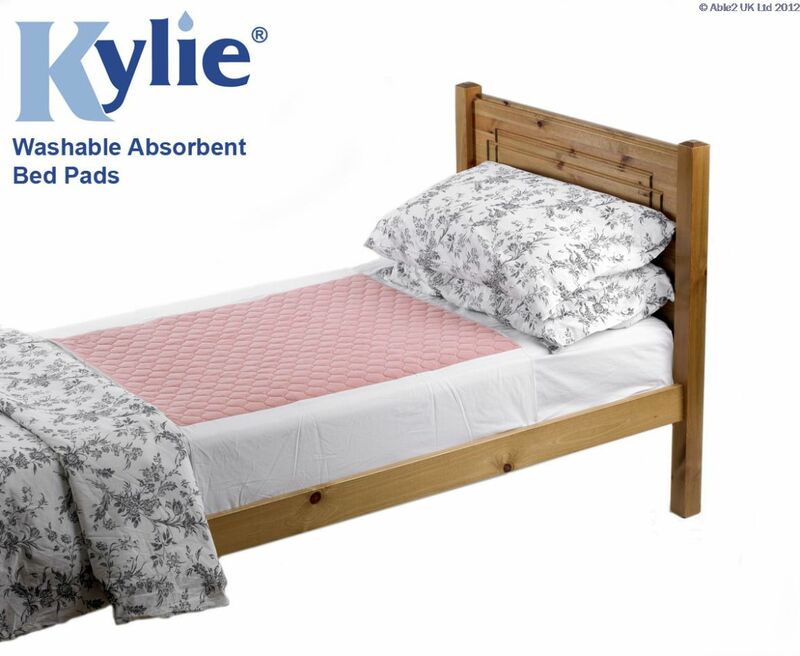 The original Kylie Washable Bed Pad. 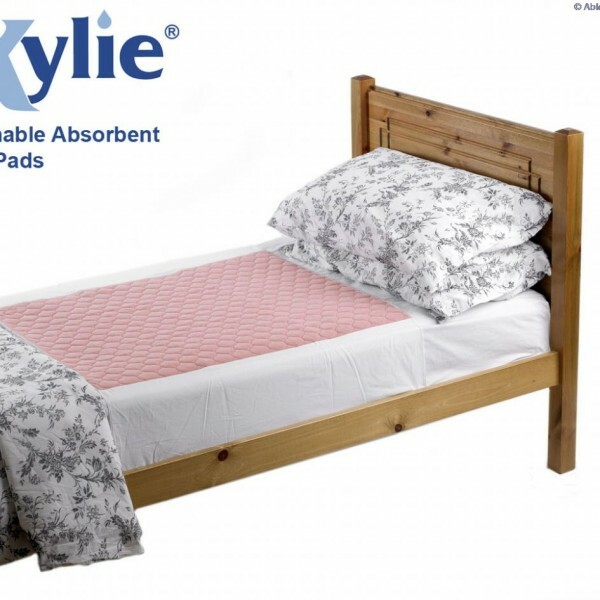 Designed to offer protection against incontinence for mattresses or other furniture whilst keeping the user dry and comfortable. The waterproof backing is integrated with the absorbent pad and is latex free and anti-static treated. Fabric wings tuck underneath mattress to help secure pad into place. Available in three sizes. Salmon pink colour. Absobancy 4 litres.